Analisa Leonor Balares is an emerging global leader dedicated to unleashing the potential of women and girls, and creating an inclusive and sustainable world. She is a community builder, social innovator, global entrepreneur, and mentor. For over two decades, she has been committed to women’s leadership development, sustainable development, entrepreneurship, innovation, and education, and has produced, directed, and co-produced over 100 summits, forums, and media on these themes. 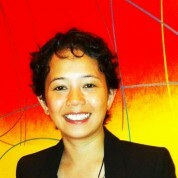 In February 2008, Analisa created and launched Womensphere, a global community platform and social enterprise dedicated to unleashing the potential of women and girls, inspiring transformational leadership and innovation, and mobilizing systemic interventions and individual initiatives to create a better future for our world.